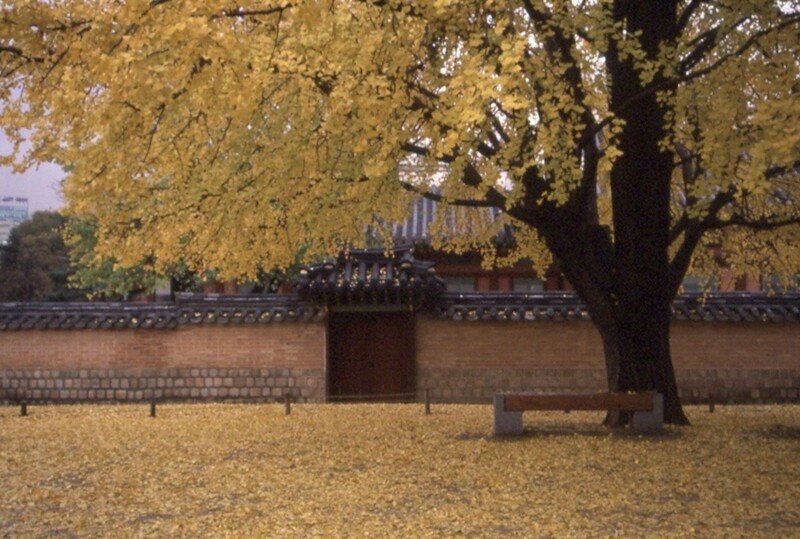 Royal Shrine of Jongymo, Seoul. A UN World Heritage Site. 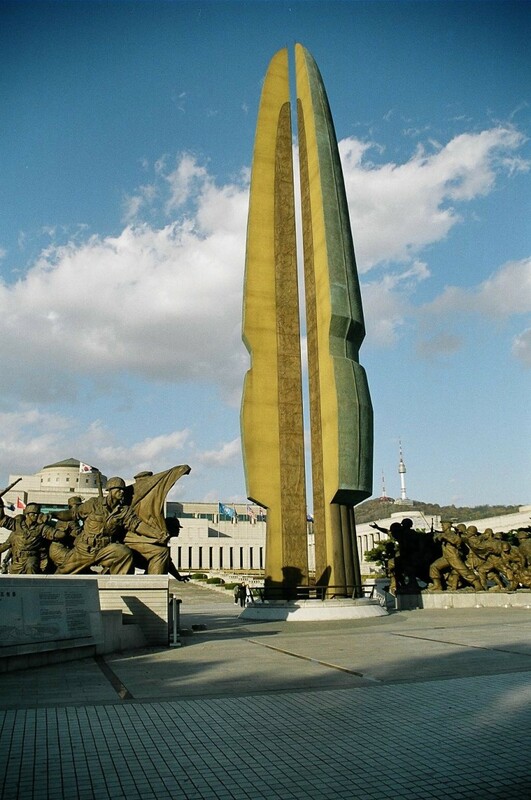 The Korean War Memorial/Museum, Seoul. Entrance to Changdeokgung Palace, Seoul. Also a UN World Heritage Site. The signature view of Seoul from Nam San Park. Approaching Japan's Mount Fuji at 17,000 feet. One of the fringe benefits of the military, or being a military dependent, is the privilege of riding on the little-known network of air travel that circumnavigates the globe and supports US military installations with personnel and supplies. While there are no regularly scheduled departures and arrivals, there is a system that can get the qualified traveler from point A to point B, if you are willing to go through points C, D, and E before getting to B or returning to A. Called “Space Available” by those who know it or simply “Space A”, the official name is the AMC, or Air Mobility Command. Many might have known it better by its previous name, MAC, or Military Airlift Command, before it changed in the early nineties. AMC flights are free of charge with the exception of a few trans-oceanic flights that cost no more than twenty dollars or so. The nickname “Space Available” means just that, you can only travel if space is available on an available aircraft. Since the schedules are not advertised more than two days in advance for security reasons, it takes some planning, flexibility, and calculation to ride Space A. Want to go to Korea from Okinawa, for instance? You better have time since you don’t know when the next available flight will be more than two days out. There is also a pecking order with getting seating. First priority goes to military traveling on orders, second to military on R&R, third to dependents, fourth to retirees with a few qualifiers in between. One of those qualifying fields is rank. 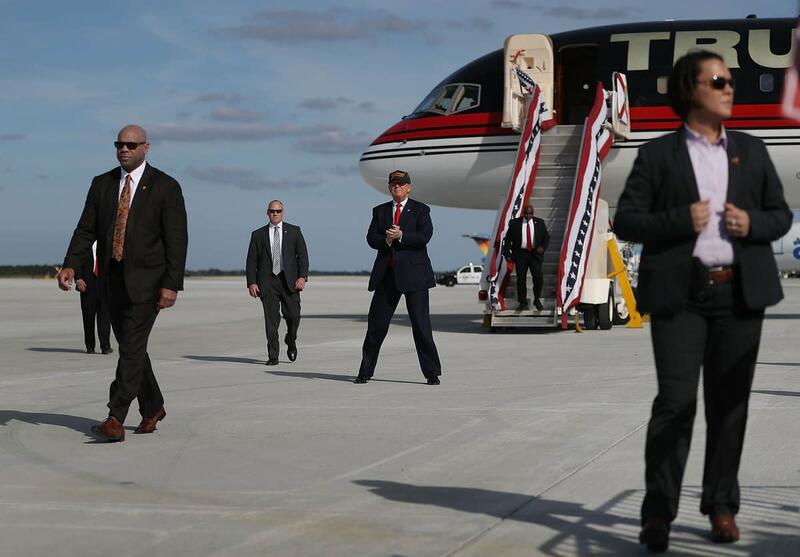 If a Space A plane has 10 seats available and 9 are taken by military personnel on orders and there are two more people left competing for the remaining seat, and those two people are a retired general and a retired master sergeant, the general trumps the sergeant and gets the seat. Let’s say those two remaining people are a retired Chief Petty Officer and a military dependent whose spouse is active duty, the seat still goes to the dependent as long as his/her spouse is active duty. I had known about Space A travel since my youth but had never traveled it and I was curious how the whole system worked. Besides, I was leaving Okinawa in less than two months and had not traveled out of Japan since arriving on the tiny island. This was a last chance and since I did not want to cough up too much money or shop around for a deal I decided to look into Space A. The first thing I did was call the local Space A “schedule”, or recording of flights departing Kadena Air Base. I called daily for about two weeks straight to get an idea of how many flights were going and where they were going to most often. I noticed that there was a trend in flights to nearby air bases such as Yokota Airbase near Tokyo, and Osan Air Base in Korea. I also learned that the day-to-day schedules would often change. I set my sights on Osan, gave my wife notice and told her, “ok, there’s one tomorrow (Tuesday) and I’m going to try to hop it”. I also told her wishfully that I hoped to return by Friday. My goal was to go to Korea, see that nation’s capital city of Seoul in one day, and try to head back to Okinawa the next. I would allow myself two days to attempt a return since I had no idea of the return schedule. Besides, it was the week before Thanksgiving and I really had to make it back by Turkey Day. In short I was attempting a power trip to Korea on the cheap. I was also looking for the Space A experience. My wife thought I was crazy but I had heard through word-of-mouth many people doing the same so it didn’t sound crazy to me. I woke up that Tuesday morning feeling ambivalent about the whole stunt. There was a flight the day before, but I didn't attempt it. I went back to my computer to do some work and in a moment I had had enough. I was so bored that I started packing my bags spontaneously after learning there was a flight with ten seats (tentative) to Osan Air Base from Kadena. November is still balmy in Okinawa but I knew winter would be around the corner this time of year in Korea. I managed to pack light allowing myself two bags: a small backpack and the other, a small hand carry-on. I headed off, hailed a cab to Kadena, and was soon at the AMC terminal. The first formality presented itself upon roll-call, or AMC’s way of 'check in'. I presented my papers, which had to be filled out and signed by my wife’s command, and my passport. 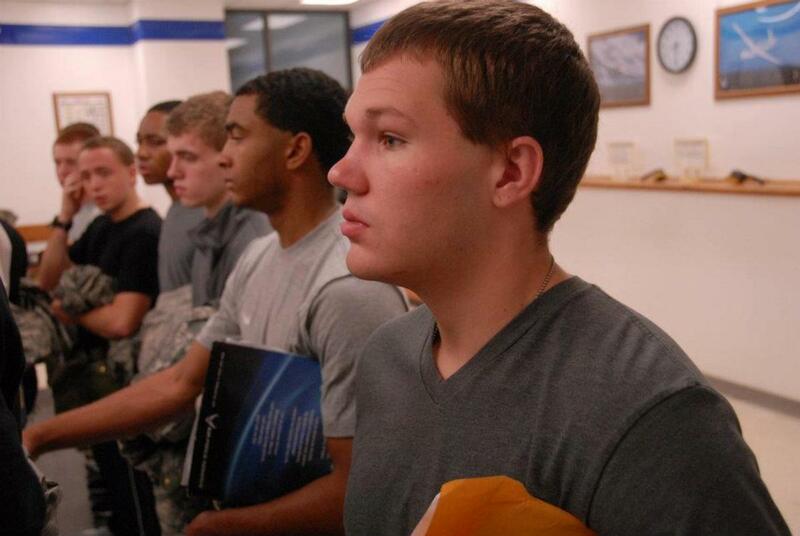 The junior airmen looked at my passport and immediately questioned it. I had had two passports in Japan, one that had my official travel order stamped stating I was SOFA status, and the other that was a tourist passport. When I had telephoned the Japanese-national at the AMC terminal she had told me it didn’t matter - just a passport will do (she didn’t seem to understand the nuance of passport stamps for SOFA people). I was soon to learn hard lesson number one. The airmen told me my passport was invalid for leaving the country via Space A but grudgingly put a new stamp in it authorizing me to leave and return. Talk to the right people about documents. The best people to talk to are those wearing US military uniforms who work in Space A. I barely passed that hurdle before I was eyeing other potential passengers to get an idea of the competition for those ten seats. In the meantime a USMC captain waiting for his troops to return from Korea asked why I was going there, “Shopping”, he asked? I told him I was going sight-seeing. Most visitors, especially US military dependents will go to Korea from Japan for shopping. I’ve never traveled to a foreign country for shopping so I wasn't about to start now. 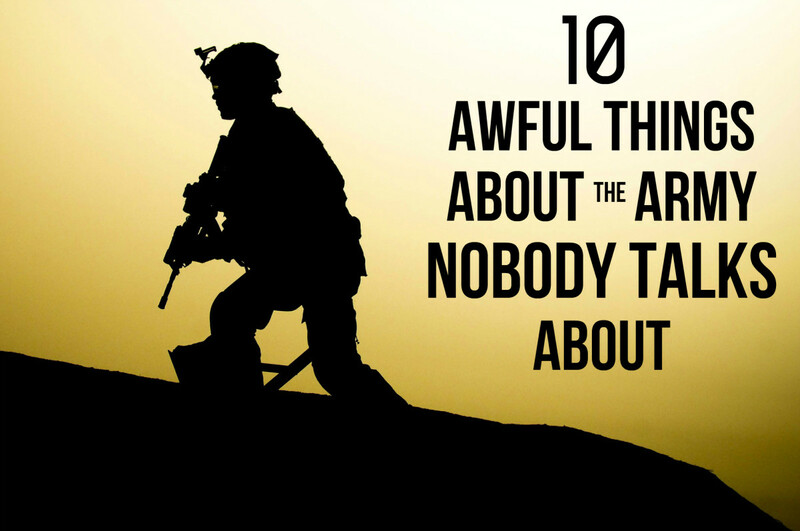 The roll call progressed and I was the third person called out – I was in. Before I knew it the plane was heading down the runway at Kadena and we were airborne in a prop-driven C-12. Flight time was estimated at just under three hours. That was too easy I thought: I don't know why I hesitated so much about this trip. It was late afternoon and within seconds the visibility was gone. The first half-hour we gained altitude climbing to 19,500 feet. It was a rough ride. Without notice a loud and ominous beeping sounded from the cockpit. It was worrisome and the two young pilots pressed buttons and turned knobs nervously. My only guess was that this was a warning for approaching aircraft, some kind of collision avoidance system. The pilots dropped the plane down to 17,500 feet quickly. After about an hour the skies smoothed out, the weather broke and I found myself squinting out the window at the day's last sunlight. All I could see was the glint of water from the East China Sea. Just before visibility ended I caught the last light fading over an indented coastline. We were approaching the coast of southern Korea and I could make out the rice fields and lights of urban areas. Within the next hour more lights and then we started our descent in darkness but clear and calm skies. Touchdown was unremarkable in this functional aircraft and I eagerly awaited to embark and find accommodations in the Air Force Inn at Osan Air Base. Things never go according to plan. We taxied to the tarmac just outside the small AMC terminal and prepared to clear customs. Although Space A passengers can travel between US military installations, they still have to clear customs if they cross an international border, usually by a local-national customs officer. Ours wasn’t there. In the background an Orwellian scene unfolded. I could hear sirens that reminded of the book “1984” and coded announcements over an outside PA system. It was cold too, but I was prepared for that. We were told that the base was experiencing a “real situation”, and it was in “lockdown”, whatever that meant. What it meant was that nobody was allowed on or off the base. Welcome to Korea? It was a poignant reminder that the Cold War is not over in some parts of the world. After an hour or so the Korean customs official showed up and stamped our passports cheerfully. Before that we heard the screaming engines of the U2 plane. I thought that it had been out of service for years. Apparently not, and it was another reminder that Cold War tensions wre still ongoing. The U2, I was told, makes daily runs over North Korea from Osan Airbase. The base also shuts down all traffic when it lands and takes off. The Navy flight surgeon sitting next to me told me that they still use it here and explained that the SR 71 Blackbird was discontinued because of cost. 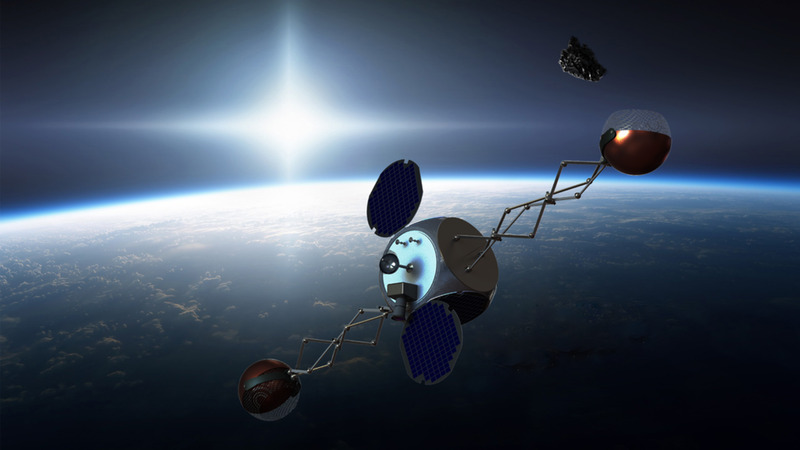 What about satellites, I asked? “Weather’s too bad up there,” he replied. “Besides, the U2 has a very low radar signature compared to other planes,” he explained. In the meantime back in the terminal, before customs showed up, I checked the return schedule at the Space A counter for the day after tomorrow. I also learned that there was no space at the Air Force Inn which forced me to look into local hotels in the town of Osan. However, there were flights returning to Kadena on Thursday and Friday, no sweat there. While waiting for the customs official I couldn’t help noticing the two mothers in the lounge who had been on the same flight. Between them they had three kids, one an infant. After talking with them they told me they came for shopping. I admired them for their bravery. Later, I decided on the Young Chon Tourist Hotel per the recommendation of an Airmen at the USO desk. The cab ride there was my first of impression of Korea. The cab driver spoke English and accepted dollars. It cost me four. Much cheaper than Japan, where the same ride would have cost 10 dollars easily. The hotel turned out to be less than I expected. It reminded me of the Soviet Intourist hotels I had seen in Ukraine. There was a loud disco boom coming from the basement that prevented good sleep. This must have lasted until 3 am. I took a quick walk before settling down. Outside there was a pedestrian mall with a lot of servicemen paying compliments to the bars and the other more established but dubious service industries that have long attracted young GIs. The condoms that I accidentally found in my hotel room drawer said it all. The next morning I got up early mostly through lack of sleep. I was able to take the hotel’s shuttle back to Osan Air Base and caught the first available bus that shuttles between Osan and Yongsan Army Barracks, a US Army installation in the center of Seoul. From there I would set out to explore the city. Before doing that I checked the Air Force Inn and made reservations for my last night in Korea, or so I thought. The weather was typically fall cold, overcast and drizzly. Coming from Okinawa it was a nice feeling that you learn to miss if you are from more temperate climes. On the bus the weather started to deteriorate until we reached Seoul in heavy traffic and a cold, steady rain. Although Osan is about 30 miles south of Seoul the highway travels through an endless suburb of mostly modern high-rises intermixed with farming fields. The amount of churches I saw on this stretch of highway reminded me of the statistic that I had once read that South Korea was the second most Christianized country in the Far East after the Philippines. Close to 50% of South Koreans call themselves Christians. In the center was Yongsan Barracks where I got off. Since it was raining I wasn’t sure what to see first. 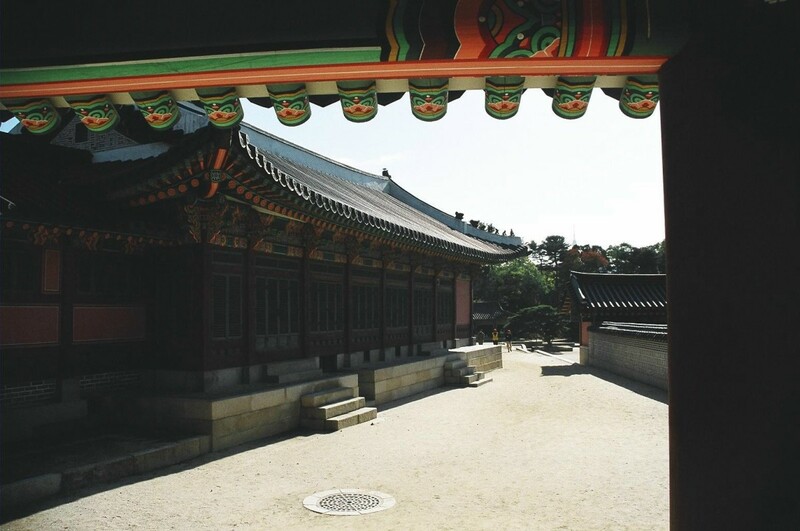 I decided to travel up to the northern part of the city at the foot of the mountains and see the Gyeongbok Palace. The subways were very easy to ride with signs in English as well as Hankul and it was no problem getting to Gyeongbok or any other destination in the city. The palace grounds were similar to those I had seen in Kyoto, Japan and a nice first impression of Korea. More impressive were the granite mountains in the background and the changing fall colors that accented the palace grounds. The bad weather forced me to duck into the adjacent National Folklore Museum of Korea. It was a nice cross-section of Korean history and culture and well-worth the visit. By the time I left the museum the weather broke and remained sunny and mild for the remainder of my time in Korea. From Gyeongbok I decided to beat the pavement and walked to Changdeokgung, about a mile to the east. 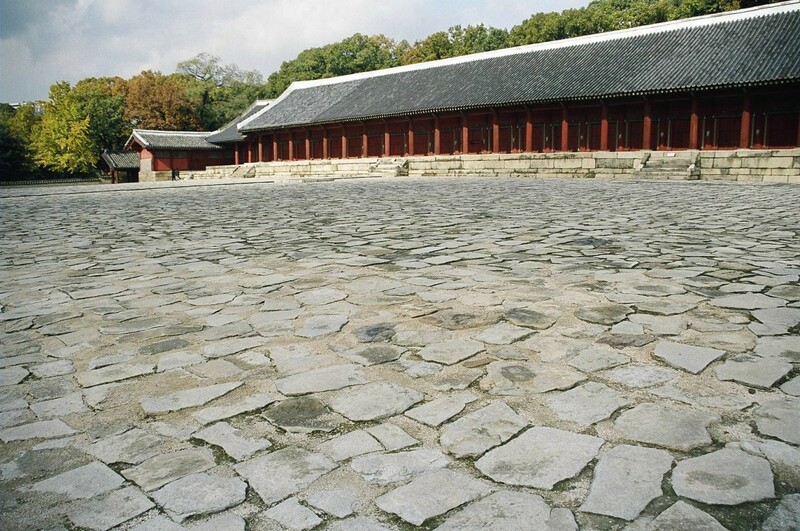 A UNESCO World Heritage site, Changdeokgung was once home to the royal families and some members lived there until as late as the nineteen sixties. 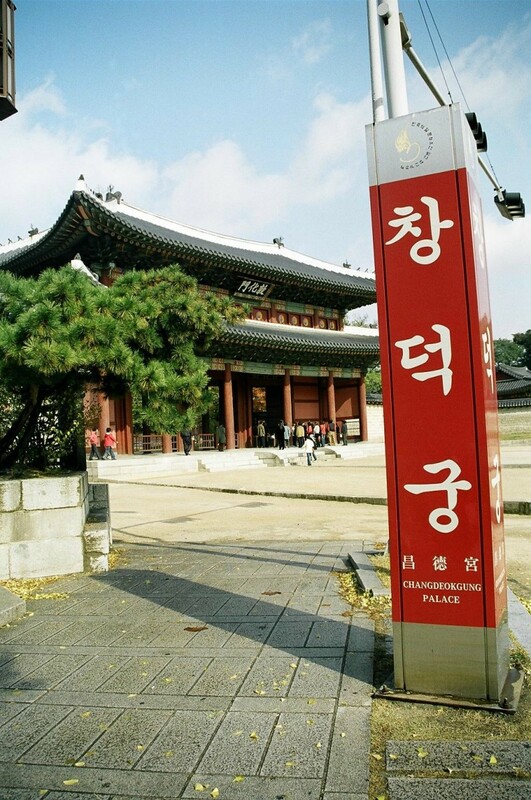 To my chagrin one could only take a guided tour of Changdeokgung on Wednesdays, so I decided to skip it. I dislike guided tours as a rule; I find them overloaded with information that most people don’t care to listen to. I always opt for the self-guided tour. From there I used my city map to cut a walking route to the royal shrine of Jongymo, another UNESCO site. 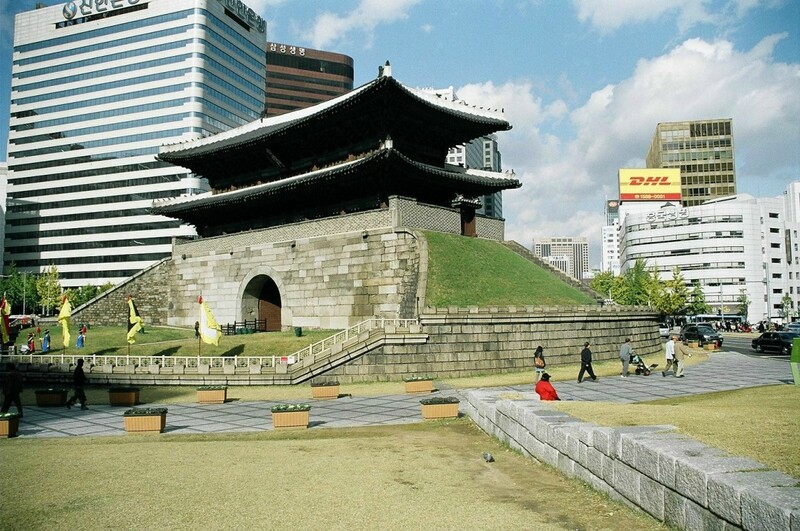 It was pleasant, and like many of Seoul’s palaces and shrines, adapted nicely to its now urbanized setting. To the untrained eye, it was not much different than the shrines in Japan. After Jongymo, I headed to Nameadun Gate, Seoul’s iconic landmark, often photographed at night with time lapse photography of red streaks passing by an ancient gate in the heart of Seoul’s business district. Although I didn’t wait around for sundown, the gate is one of four marking the ancient boundaries of the once-walled old city. Thinking I wouldn’t need my Korean Won after tomorrow morning I went to a Starbucks and bought a big drink. Thereafter I took the subway to the Korean War Memorial Museum, located right outside the gates of Yongsan Army Barracks. Although it's called the Korean War Memorial, the museum inside is a great exhibit to the Korean War and should not be missed. There are excellent displays, both interactive and static, that describe the War and its legacy. Everything is also in English. I headed for Yongsan Barracks for the bus trip back to Osan. The Airforce Inn was newly refurbished and for only 28 dollars a night was a great relief from the overpriced and underperforming local accommodations the night before. I went to sleep wondering what tomorrow would bring. I shouldn’t have been too worried because Space A was a breeze on my first try. The next morning I made the short walk to the Space A terminal and checked in for roll call. There was one C-12 headed to Kadena but a crowded field of competitors. 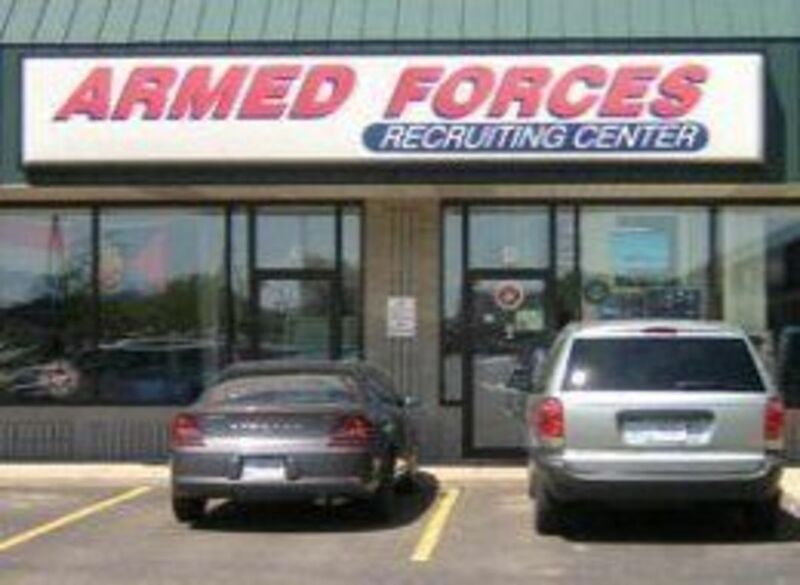 Many looked like they were active duty so I held by breath. It turned out it wasn’t the amount of people but the amount of weight that the two servicemen traveling on orders had brought. Weight limits on these small planes are strictly enforced to the point where I saw people scuttling extra clothes and belongings to meet their weight quota. It wouldn’t have mattered, the two servicemen had 14 very large bags between them and bumped everyone else off the flight because of their load. Well, it was back to explore Seoul for another day. Had I known I would be bumped I could have signed up for the Thursday tour going to the DMZ, which I wanted to see. You can’t have it all. Admittedly I became nervous about my prospects for departing on Space A. I quickly learned that Osan is great for end-users but clearly not a transportation hub like Kadena or Yokota. With no accommodations available in the Air Force Inn I headed into Seoul for the day and night. The Dragon Hill Lodge sits smack in the middle of Yongsan Barracks. 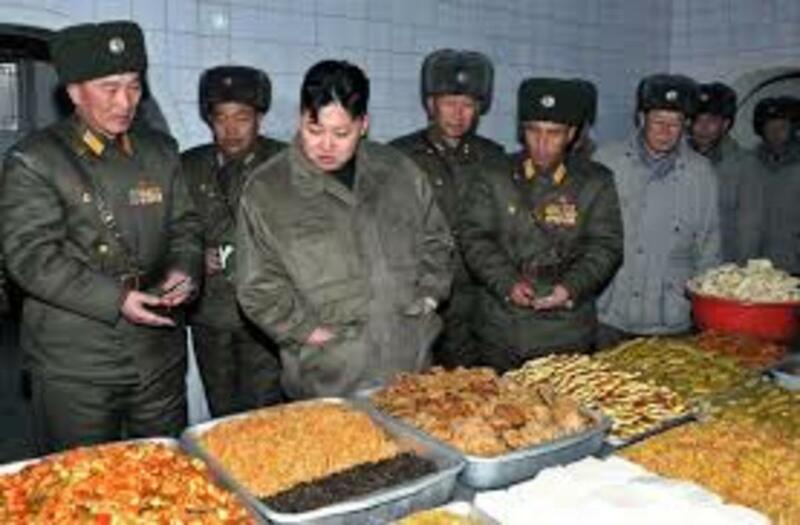 It’s the military’s answer to the Ritz Carlton and it has everything the hotel guest can imagine. 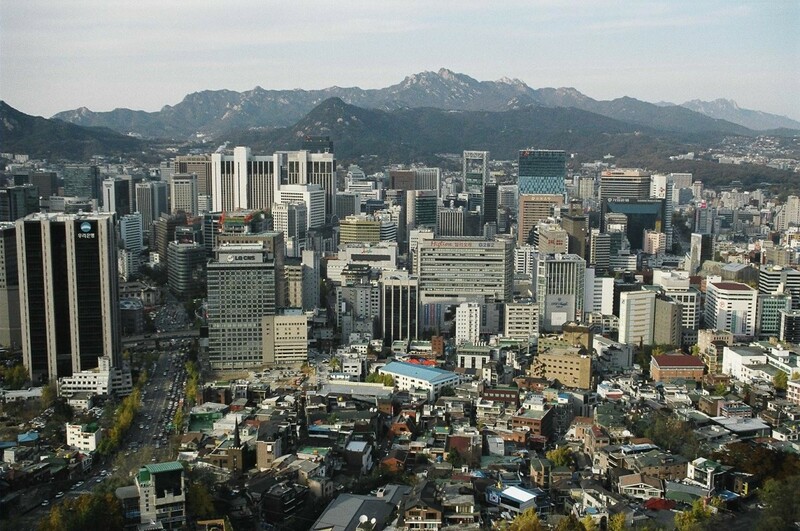 Its location is unsurpassed for those who visit Seoul. Word has it that the Yongsan Garrison will close, but the Dragon Hill Lodge will remain open. I spent the day covering ground that I was unable to see the day before. I saw the ToeksuPalace, an eclectic mix of historic government buildings in the heart of Seoul. I also made a second attempt to see the Changdeokgung palace complex on my terms. It was open to “open” visitors on Thursdays but at three times the price of the mandatory guided tours. I put down the money and saw it for the equivalent of about 15 USD. That’s not unreasonable if you live in Japan and I had no idea when I would be back, if at all. It was worth it. The buildings are like any East Asian palace ground, but the grounds are endless and great for walking. The fall colors were the bonus. After seeing the palace and grounds I headed for Nam San, the hill in the middle of Seoul. From there are great views of the city and the dragon-teeth granite mountains that ring the city. After some confusion as to which path to take and ruling out the tramway because of price, I found some stairs that eventually led to a great lookout for a photograph of the city. It was almost dusk, I was hungry and wanted to settle in for the night in preparation of my attempt to return tomorrow. I found Seoul a perfect blend of old and new. The historic parts reminded of Kyoto and the modern of Tokyo. The mountains that ringed the city gave it that much more character. The prices: much cheaper than Japan. The subway, for instance, was 900 SKW to travel about six or more stops. That’s less than a dollar. My nerves about the return trip prevented me from getting a good nights rest, but I was on the first bus to Osan. From there I checked in for roll call and again saw a crowded field of all the people who were bumped the previous day and more. It didn’t look good. There were two C-12’s headed to Yokota, but nothing to Kadena. I was not about to wait in Osan for the next direct flight. I had been to Yokota and knew that it was a big AMC hub so I thought I would have a good chance of getting something to Kadena, maybe even that night, if I could only get on one of these two flights. I was bumped, again! Just too many military on orders with their families. That put me down in the dumps and made me seriously consider getting a domestic ticket back to Okinawa from Seoul’s Incheon Airport. I knew those were the risks of Space A but that thought didn't give me any comfort. Just when I thought all was lost, I was called to the counter. A family of four got bumped because their combined weight was over the limit. But since they were bumped that left enough room for me and my light baggage. I was accepted for flight and rode to the hangar jubilant. We waited for the U2 to do its thing. I caught a glimpse of the taxiing plane and the pilot in his space suit prepared for the 70,000 foot altitudes he would soon encounter at the outer limits of the atmosphere. We were finally airborne and I was happy to be going somewhere. The skies were perfect and I could see Japan’s largest lake, Biwa-ko, after we cleared Japan's coast slightly to the north of Kyoto. Soon the ridges of the Japan Alps unfolded, with summits poking through the clouds. I was lucky enough to see the ridge of Japan’s South Alps I had hiked less than three months earlier now in a winter mantle. I eagerly looked for Fuji’s distinct cone. 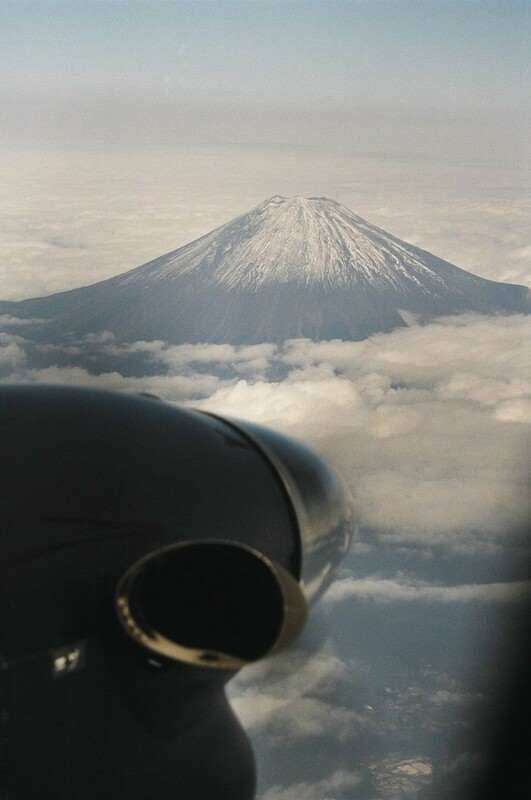 I had flown over Fuji a few times but was never camera-ready. This was my last chance. There it was, straight ahead on the cockpit’s starboard. As we approached it at around 19,000 feet, I shot a number of pictures which turned out perfectly. Unbelievable. Soon after we started our descent into Yokota I heard the same beeping noise from the cockpit. Skies were clear and the pilots just turned it off casually by flipping a switch. Maybe it wasn’t a collision avoidance alarm. I hope not. After clearing customs I rushed to the AMC counter at Yokota to see if there were flights to Kadena. There was one with 120 seats but it was too late. It had boarded. It was Friday and I would have to wait until Sunday for the next chance of a flight. Two flights were tentatively bound for Kadena each holding about 20 seats that day. Yokota is a great place for R&R because everything, including the AMC terminal, is within walking distance. Trains to Tokyo are easily accessible as well. The base is beautifully tree-lined and situated on the outer edges of metropolitan Tokyo. The weather was perfect for this time of year in the Kanto. I had two days to wait, did some Christmas shopping at the Exchange and explored the neighboring town of Fussa. Sunday came and I prayed that the afternoon’s flights to Kadena would have me aboard. Although the first flight wasn’t until 10:00 pm, I got to the terminal early. Nobody there, maybe my chances would be good. Besides there was another flight just after midnight. The time passed and I spent it checking email and watching movies. Still no one. I couldn’t help worry a bit. Around the eight o’clock roll call a few people showed up but there was no problem, there was still room left in the cavernous C-17. We took off and the first hour was incredibly turbulent. It was scary. Thereafter the skies smoothed out and before I knew it I felt a tremendous thud. Touchdown, I made it back to Okinawa about an hour after midnight on Monday morning. Only about two days behind schedule. It was the most memorable trip I had taken in a while and the Space A adventure gave it that edge. I also managed to spend not more than 230 dollars on my five nights of lodging - about the cost of a round trip commercial ticket from Okinawa to Seoul. Macau: A Historical Walking Tour. Hong Kong & Macau: Efficiently Confusing. Jeremy - these are all good questions that I have no definite answers for. That's what makes Space A an adventure. I think 13 days should be enough time for your proposed itinerary, and the travel season is light now too - those are your advantages - good luck and have fun! Great article. I am currently stationed in Korea and plan to use space A to go to Okinawa. I want to spend a few days in Yokota, Tokyo tower then head to Okinawa for a few days. I leave the 20th of this month to yokota. Do you think that will be enough time for me to go to Tokyo and Okinawa and be back in Korea by the 3rd? BTW I am trying to stay in Okinawa until the 30th, could I make it back? Pam - that brings back memories. Yeah, try to wait for a hopper at Yokota - it's more of a hub in my opinion. Osan is more of an end point and can be challenging to get out of (although I had little probem getting there). Good luck! I was in S Korea for three years. Didn't really have a nice experience, but enjoyed reading your Space A adventure. Well Done! yenajeon - many thanks for visiting and reading. I enjoyed my trip to Seoul very much and would like to return some day - a fascinating place! I liked your writing style. What an interesting tour through a place I thought I knew so well! Rated up and awesome! Vimlaksh - thanks for your comments. Maybe I will change the title, but I am glad you enjoyed the article. Nice Hub. The title is a little confusing at first but once into the article, you get a clear idea how space travel is like! Ashley Todd: Well, I was hoping my article would give you some hint of what it's like. It depends what you expect from it. Like any foreign country, if you have not travelled much there 's always the culture shock, but as my article hopefully illustrates there's much to do and see. kurojohns: it's a nice place - try a month if you can. many things to do and see. good luck. I want to go to South Korea and try at least a week of living. Definitely preferred Korea to China as a country and as a people. Interesting hub about travelling Space-A. I know all about that type of experience as I used to work for an airline, and its not such a different system, although at least I knew more than 2 days in advance when the flights would be... Although it doesn't change all that much seeing as I never knew if I could get on them! 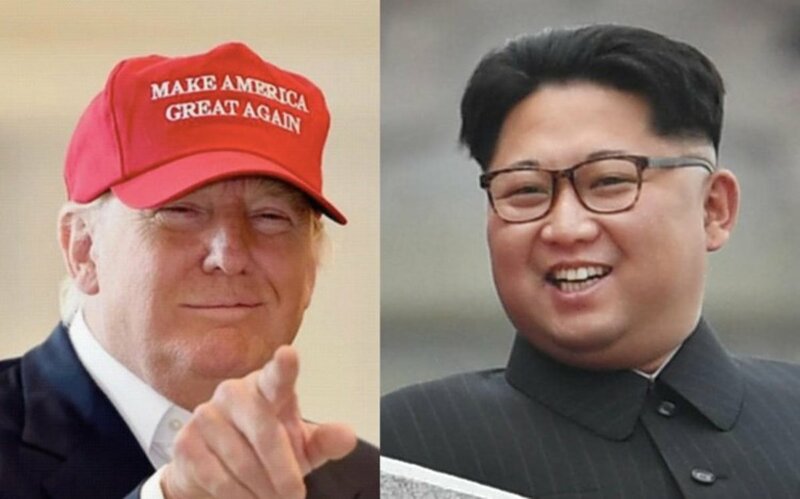 Glad you had a nice trip to Korea too. I've been here for around 7 months, and I'm still really enjoying it!